In the Sydney Morning Herald, Anthony Bubalo and Michael Fullilove review why the Australian goverment seems to be staggering from crisis to crisis, arguing it has more to do with shifting plates of global power than problems in Canberra. In the past few months, Australian foreign policy seems to have stumbled from one crisis to another: from tensions with Indonesia over asylum seekers and spying claims to more unnerving disputes with Beijing over territorial claims in the East China Sea. Some blame the federal government for these difficulties. In fact, they are less a reflection of a new government finding its diplomatic feet than they are an illustration of the fact that the ground is moving under its feet. Australia is at an inflexion point when it comes to its foreign relations. The changes taking place in our region and across the globe are having profound consequences for our security and prosperity. They will pose uncomfortable questions for Australians - and not just for those involved in the wonky and somewhat esoteric world of foreign policy. Many of these changes are evident in the key foreign policy developments of the past year. But to really understand the way that world is changing around us, we need to look back at what has been happening over the past 10 years. The period was marked by wars in Iraq and Afghanistan, the global financial crisis and the Arab uprisings. But below this surface turbulence, it is possible to discern deeper currents of change that will have an even greater impact on Australia. The first of these is the rise of Asia. In the 10 years since the Lowy Institute's establishment, the region in which we live has become the cockpit of global politics. Every report the institute issues and every event we host is touched in some way by Australia's interactions with Asia - the region in which so many of our country's future opportunities and challenges lie. Central to Asia's rise has been the rise of China. In the past three decades, China has remade its economy, driven extraordinary productivity increases, and in so doing raised hundreds of millions of people out of poverty. China is laying roads and high-speed rail, building airports, and expanding shipping at a frenetic pace. The Chinese authorities sit atop a hoard of foreign exchange reserves that would make Croesus blush. China is achieving an economic weight befitting its huge size. But more worryingly for the region, China's economic strength is mirrored in its growing military capabilities and reflected in a growing, if uneven, assertiveness. China's recent unilateral declaration of an air defence identification zone in the East China Sea is an example of this new posture - as was its overreaction to Canberra's quite reasonable response to this declaration. China's emergence as a regional and global force is sharpening the questions that Australia is asking itself about how it should comport itself in the world. The challenge for Australia - and for many other countries in the region - is that there is significant uncertainty about the future conduct of the region's economic superpower. It is often said that Australia has a choice to make, between its most important economic partner and its greatest security provider. Less often is it observed that China also has a choice to make: will it play a central, constructive and responsible role in Asian and global politics, or will it use its growing wealth and military strength in more adventurist pursuits? Given the uncertainty surrounding this choice, it is perfectly rational for Australia to balance against the risk of future Chinese recklessness by keeping the US engaged in our region and investing in our alliance with Washington. But this does not mean we should run down our relationship with China; on the contrary, we should thicken it. This is why the strategic dialogue announced by the Gillard government last year is so important. It provides Australia with a framework for engaging the Chinese leadership at the most senior level. The challenge for the Abbott government is to fill in that framework with a meaningful agenda. Even as the government talks to China, it will need to strengthen our relationship with the US. In November 2011, President Barack Obama made a powerful speech on the floor of the Australian Parliament in which he explained his concept of rebalancing US policy away from the Middle East and towards Asia. He spoke about the decision he had taken to engage much more fully in Asia and the Pacific. "As a Pacific nation," he said, "the United States will play a larger and long-term role in shaping the region and its future, by upholding core principles and in close partnership with allies and friends." Mr Obama said when it came to Asia, the US was "all in". A tangible sign of that commitment was last year's decision to increase the current rotation of 200 US Marines through Darwin to 1100 this year. In many respects this is one of the most significant developments in our alliance relationship that could ultimately mean about 2500 Marines based more or less permanently on our shores. But there are still questions about the rebalance. The proponents of the policy in the Obama administration - former secretary of state Hillary Clinton and her deputy, Kurt Campbell - have left government. Clinton's successor, John Kerry, is rarely seen in the region - and when he is, he is usually speaking with Asian foreign ministers about events in the Middle East, the region in which he is really interested. Even Obama himself - who has declared his own ambition to be "the Pacific president" - has been forced by events abroad and political dysfunction at home to reschedule several important visits to Asia, most recently last October when he missed the Asia-Pacific Economic Co-operation summit in Bali and East Asia Summit in Brunei. There are other challenges within the Western alliance system, underlined by the recent controversy over the Snowden leaks. Our long-standing membership of the "five eyes" intelligence community - comprising Australia, the US, Britain, Canada and New Zealand - has long been a strategic asset. But even as technology increases our capacity to collect secrets it is also undermining our ability to keep them. This has the potential to do great injury to our relations with allies and partners. Recent difficulties with Indonesia over asylum seekers and spying show relations with our largest and most important neighbour will continue to consume a lot of diplomatic energy. Indeed, the recent difficulties, coming as they do after earlier disputes over everything from East Timor to live cattle exports, raise the question of whether we will be able to lift this critical bilateral relationship out of the transactional trough into which it has fallen. Even as we manage these regional challenges, the past decade has underlined that Australians cannot ignore the broader world. Terrorist threats and financial crises may incubate far from our shores, but distance will not insulate us from them. Australia cannot simply be a regional power - we are also a country with global interests. Whereas we could once rely on our Western allies in global leadership forums such as the G8 and the United Nations Security Council to set the rules for global economics and politics, today, new players such as China, India and Brazil are playing a big part in setting the rules. 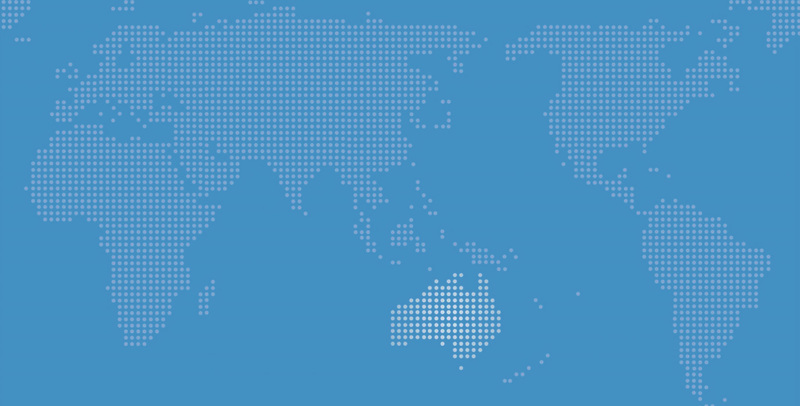 Australia has new opportunities to shape global governance too. It is a member of the world's two most important economic and political forums, the Group of 20 and the UN Security Council. But membership of these institutions will test us as a country. Our political leaders and our government officials will need to engage on a much broader range of global issues at a higher level, and at a faster pace, than they have ever done before. In order to do this, they will need all the tools of Australia's international policy to hand. And in recent years, we have allowed those tools to grow blunt. Australia's defence spending is way too low. Over the past few years defence expenditure has slipped significantly below 2 per cent of gross domestic product, reaching 1.5 per cent in 2012 - a level not seen for three-quarters of a century. And Australia's defence expenditure has declined at exactly the moment when expenditures of other countries in the region have increased. Australia needs to turn this trend around. We are a significant power located in a region full of jostling powers. We rely for our prosperity on foreign investment and trade. Maritime security and open sea lines of communication are essential to our economy. In these circumstances, Australia needs to maintain a defence force with strategic weight. Alongside a properly funded defence force, Australia needs a strong and effective foreign service. Australia has many fine diplomats and a proud record on a range of regional and global issues, from East Timor to arms control. But that record is being put at risk by the chronic under-resourcing of our diplomatic infrastructure. Today Australia has the smallest diplomatic network of all the G20 nations, and close to the smallest in the whole developed world. All of this underlines the point that international policy can no longer remain the preserve of wonks and specialists. The broader community needs to discuss the decisions we need to make as a country, from how much we spend on defence to how deeply we engage with our neighbours. We will all need to get used to the idea that as new countries rise, the rules of the international game will not always be made by us, or by people like us - and therefore, that the new rules will not always favour us. More than ever, Australia's prosperity and security will depend on the level of our engagement with the world. It will depend on the professionalism of our soldiers, the skill of our diplomats, the value of our exports, and the reach of our expats. But it will also depend on the quality of our ideas - and the manner in which we choose to make our way in the world.